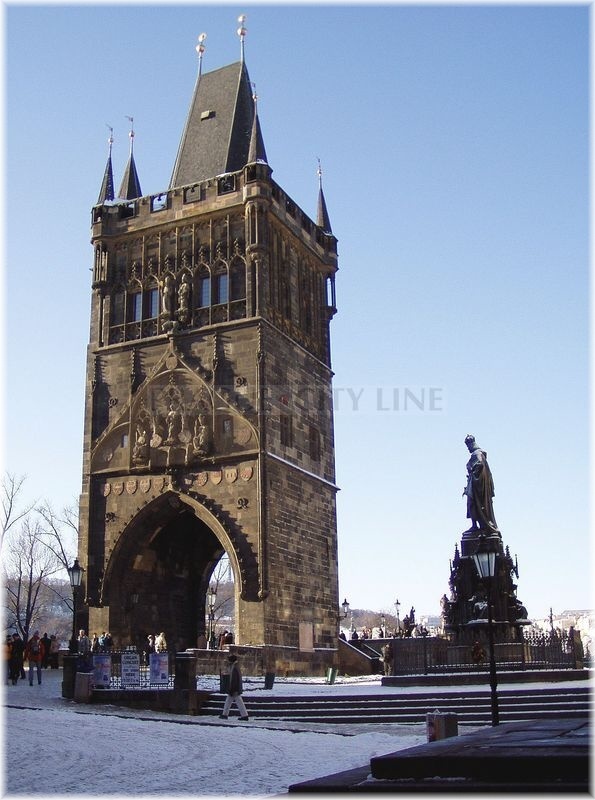 The second guardian of the Prague Charles Bridge, besides the Lesser Town Bridge Tower, is also the Old Town Bridge Tower on the opposite river side of the river Vltava. 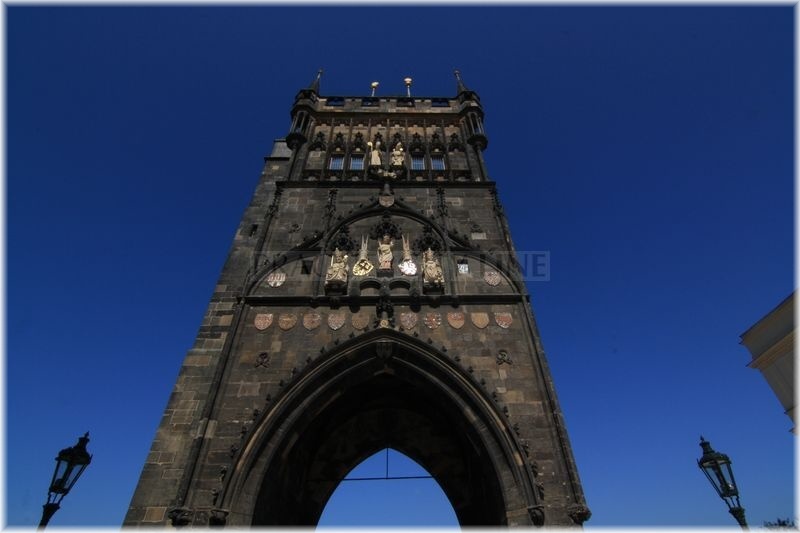 Let´s explore a monument which is by right considered one of the most beautiful Gothic monuments of Europe. 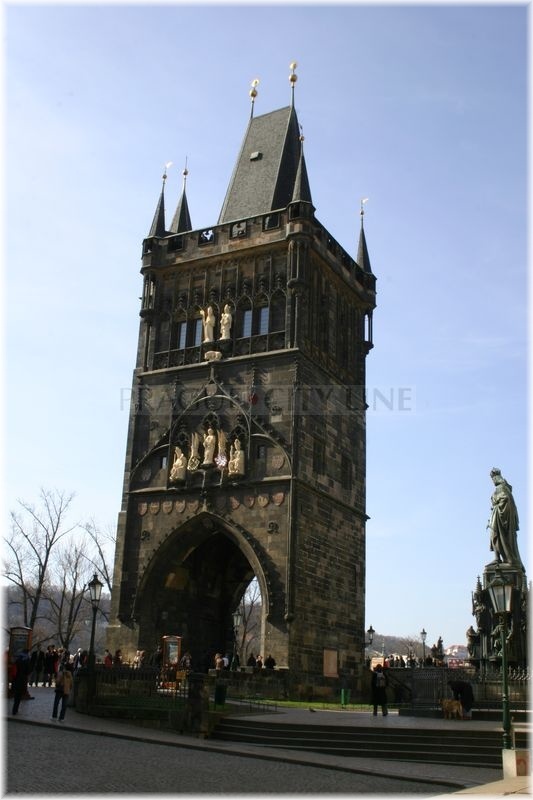 The Old Town Bridge Tower will lead us through its gate onto the Charles Bridge, one of the most beautiful European Gothic monuments. 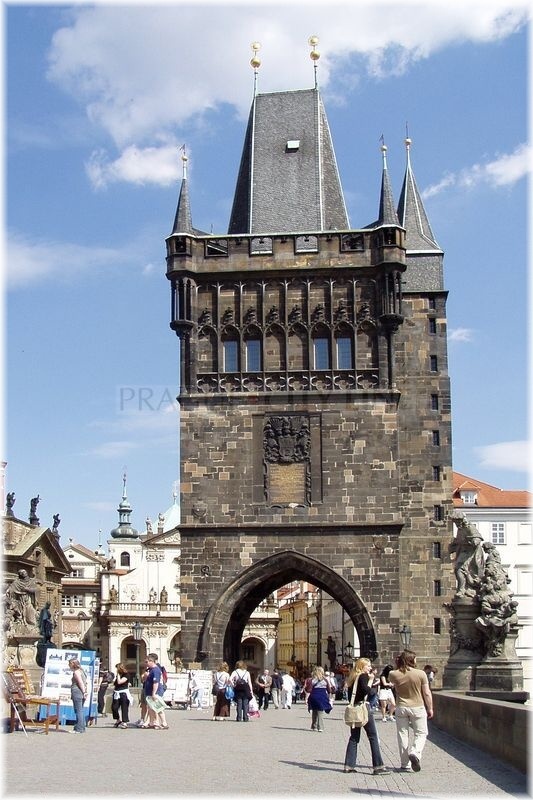 The author of the tower, the architect Petr Parléř, also constructed the Charles Bridge. He got the bridge made from sandstone blocks and he also added the unique and for the Gothic style quite typical elements – the lancet arch and the vault with triple rays. 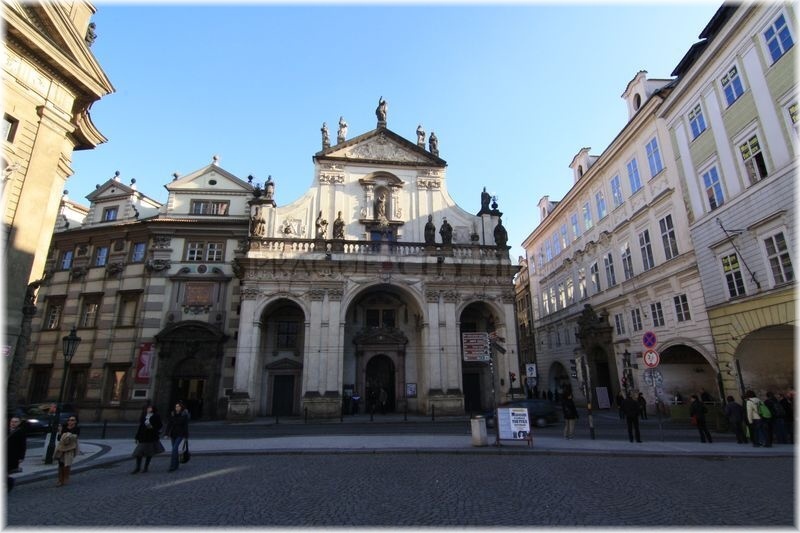 The construction was completed in 1380. 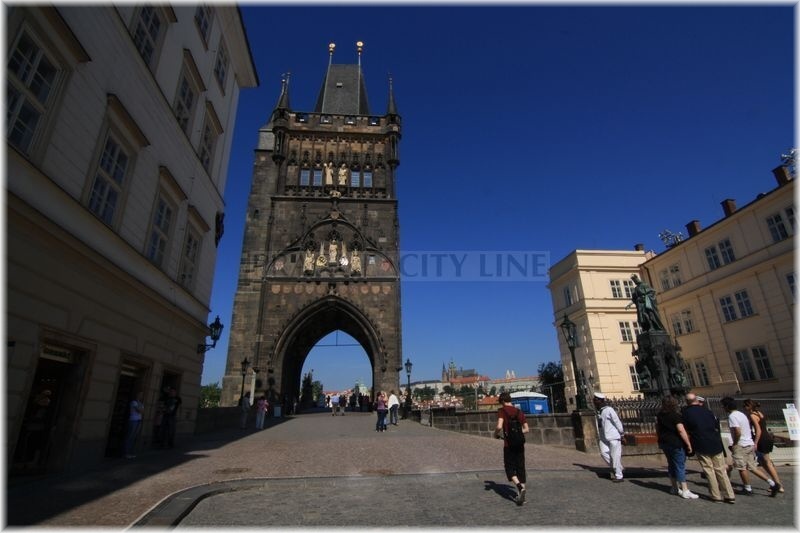 The bridge tower gate was also used as a passage for the royal coronation processions because it was located just on the Royal Route. The history of the tower dates back to the 14th century. The tower was several times attacked by the enemy troops and damaged. Also in 1848 during the revolution fights it was damaged and therefore extensive construction works had to be carried out to save the monument. 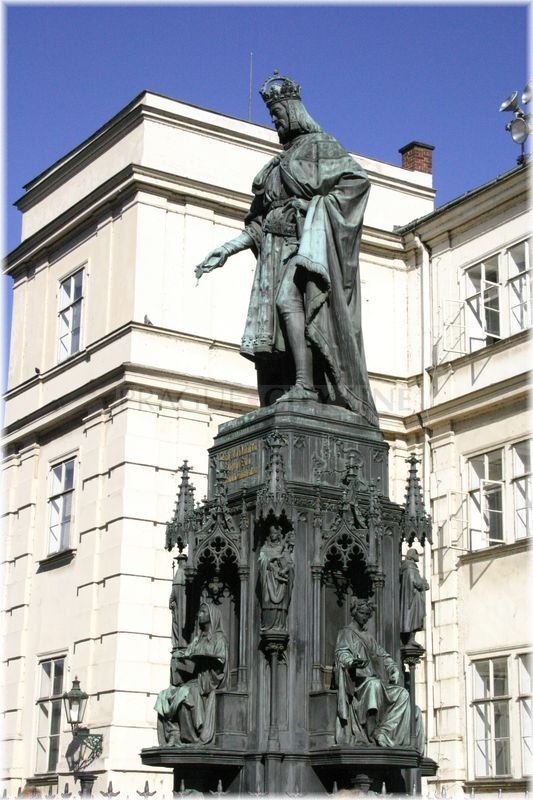 The reconstructions took place under the leadership of the Czech renovator Josef Mocker. 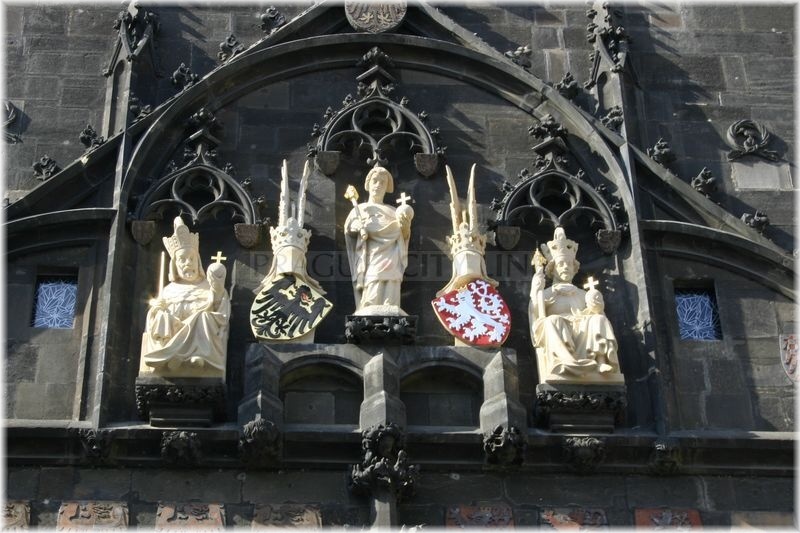 The original Gothic statues were removed in the 12th century. 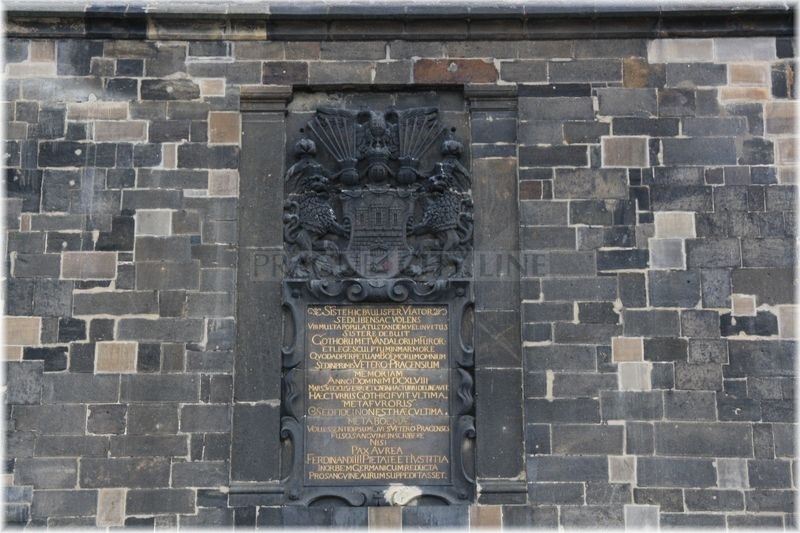 They were consequently located in the lapidarium of the National Museum in Prague. The tower was decorated first by the concrete and later by sandstone imitations. 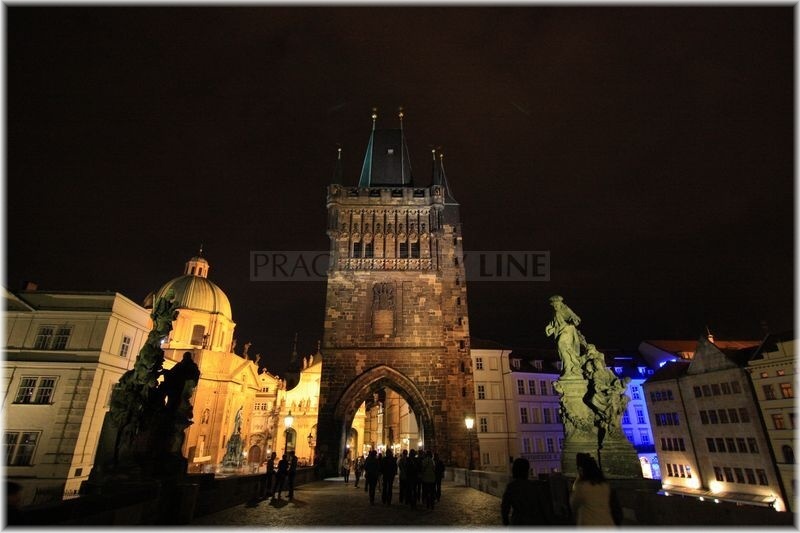 You can learn about the history of the tower in the permanent exposition of its interior where the visitors can see the film Charles Bridge – the ray throughout the centuries. The prismatic tower is composed of the three floors. It is finished not only by the battlement but also by a tall slate roof. The tower rises nearly 500 metres high, however the side turrets reach even higher. 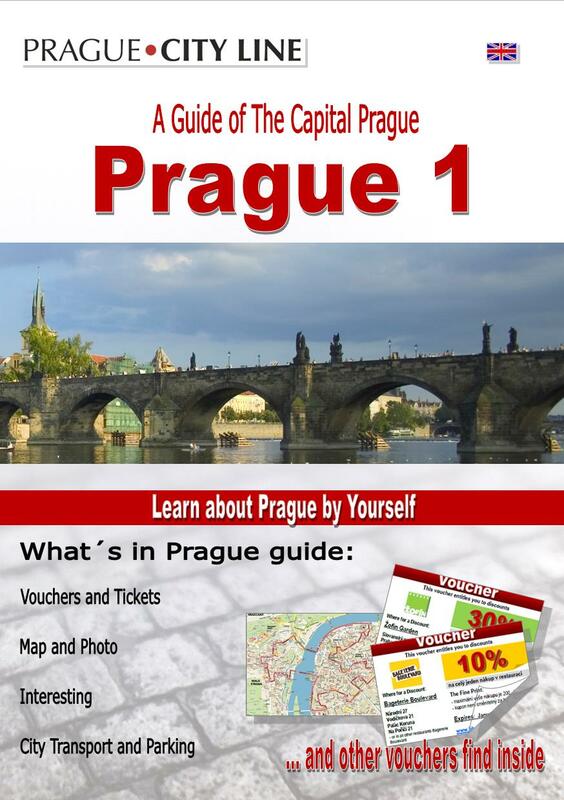 If we want to look around the Prague Castle and the neighbouring historic sights from the Old Tower Bridge Tower gallery we first need to beat 138 smaller stairs. As soon as the stairs take us to the first and second floor our attention will be attracted by the unique beam ceilings. 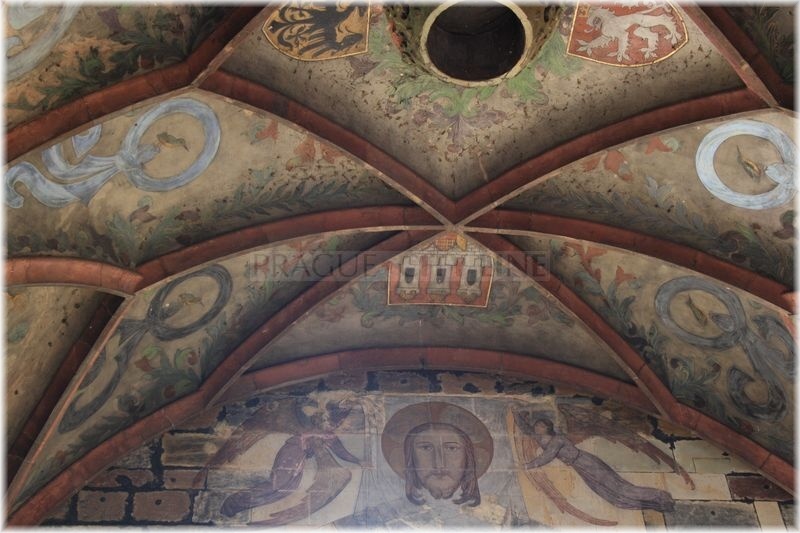 In the second floor, the ceiling is replenished by the emblems of the Prague towns and of the Lands of the Bohemian Crown. 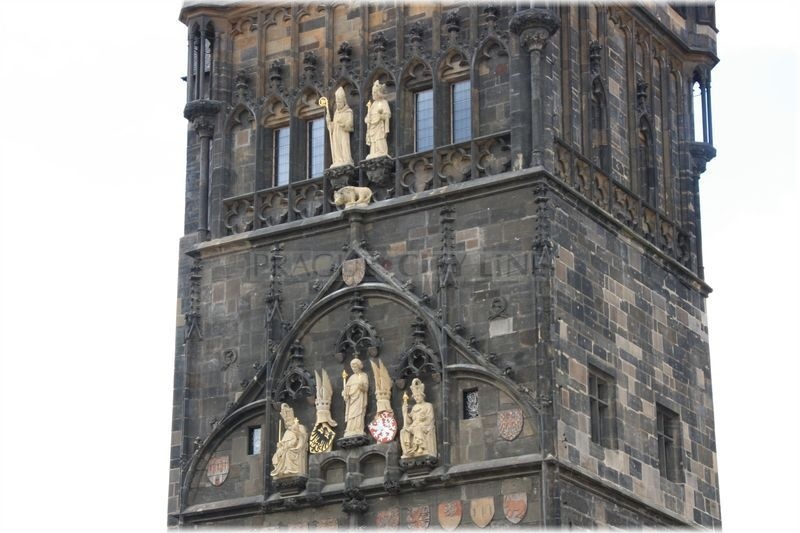 On the top of the staircase right on the gallery you can take a look at the Gothic statue of Věžník (tower keeper). The Old Town Bridge Tower is especially unique because of its sculptural decorations. 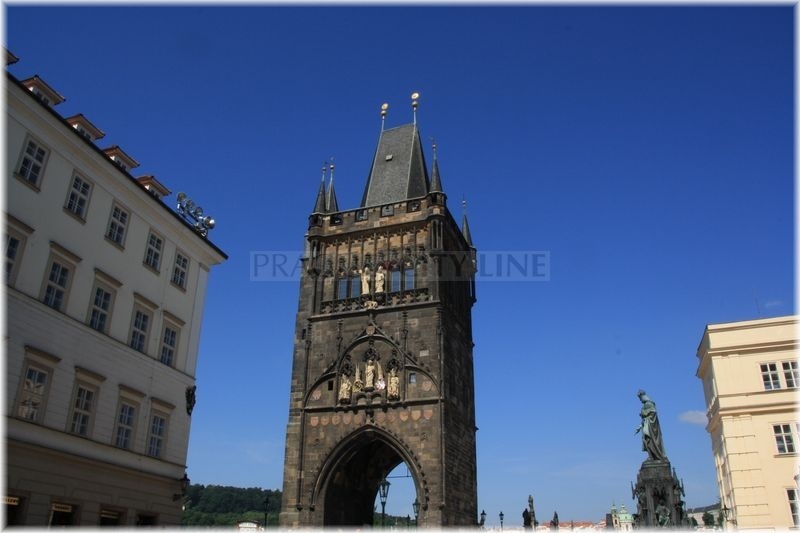 When looking from Křižovnické náměstí (Křižovnické Square) you can notice that the tower is divided in four parts. In its lower part – around the vault – smaller plastics are placed. Just over them there is a part formed by the significant coats of arms of those historic lands where the Louxembourg monarchs used to reign. 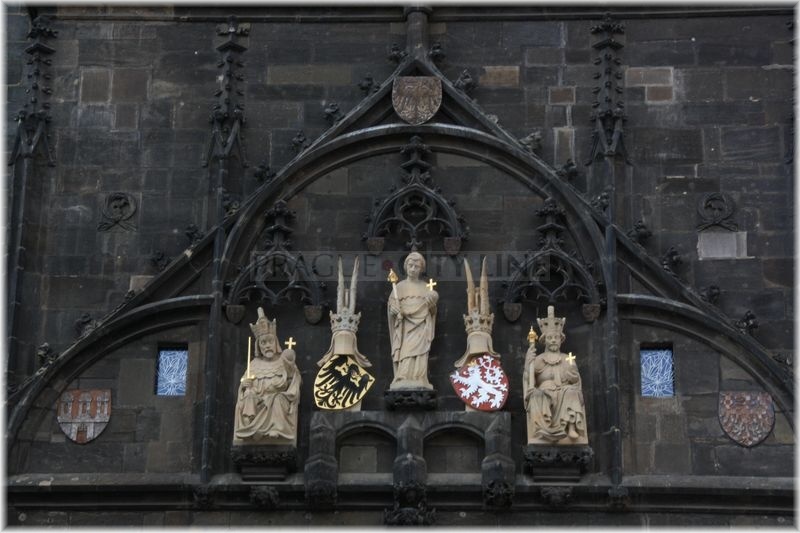 Together with the coats of arms you can also take a look at the original Prague Old Town coat of arms. 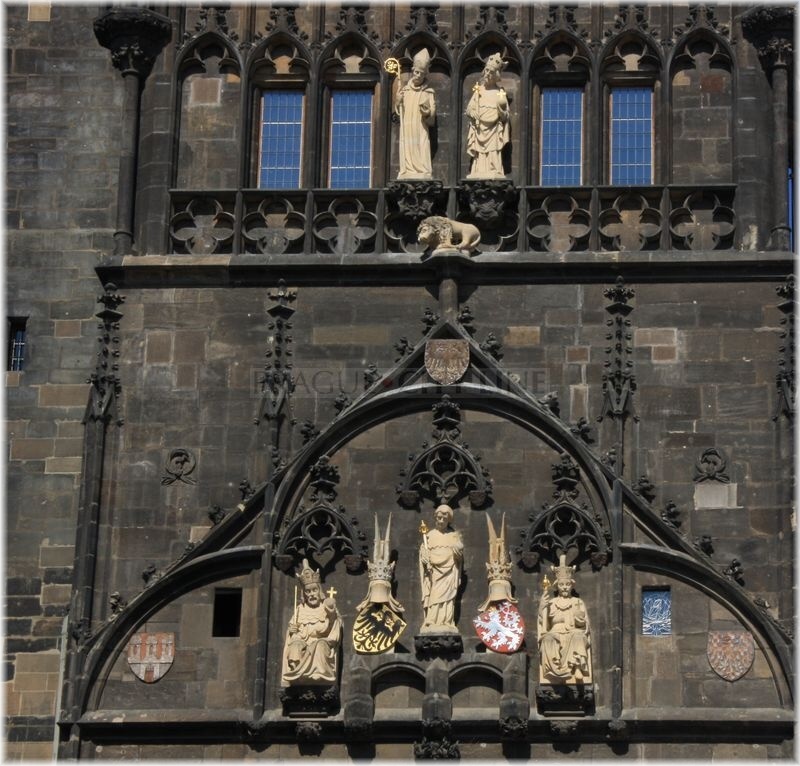 Now we will focus on the sculptural decorations – the statues of Charles IV, St. Vitus and the King Wenceslas IV standing in the first floor on the left. 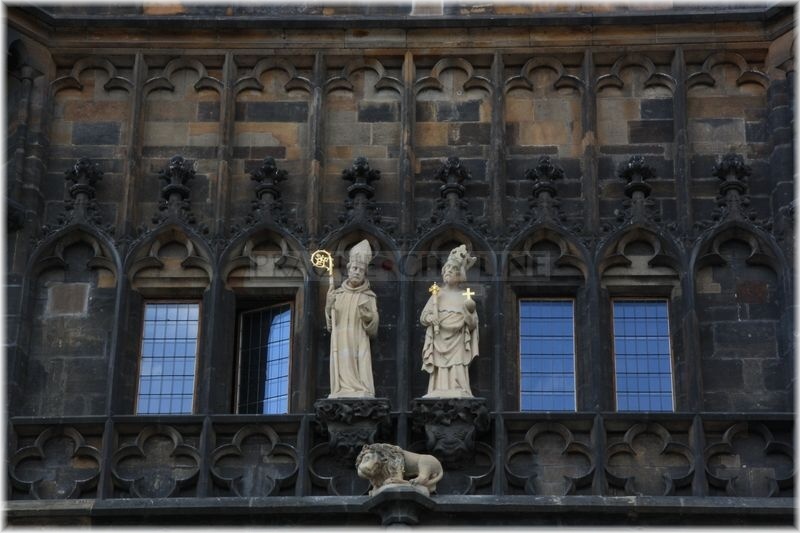 On the higher ground you can – besides the guarding Bohemian Lion – see the statues of the Czech patrons St. Sigismund and St. Adalbert. The tower is open to the public. Then follow Křižovnická street until you come to Křižovnické náměstí (Křižovnické Square). 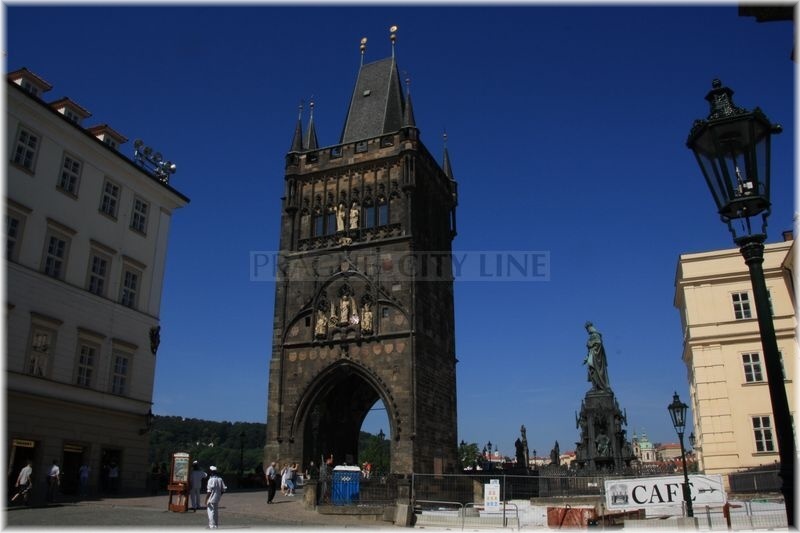 Old Town Bridge Tower (Staroměstská mostecká věž) 50.086212, 14.413569 The Old Town Bridge Tower The second guardian of the Prague Charles Bridge, besides the Lesser Town Bridge Tower, is also the Old Town Bridge Tower on the opposite river side of the river Vltava. 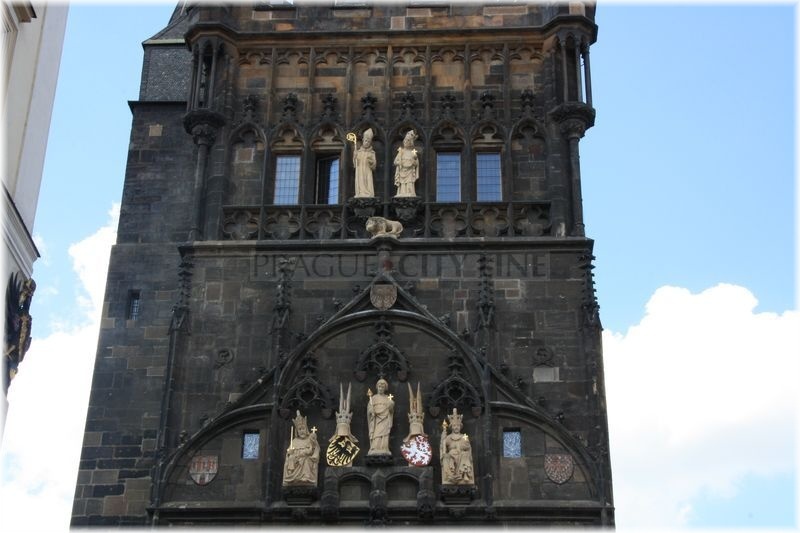 Let´s explore a monument which is by right considered one of the most beautiful Gothic monuments of Europe.